Car Design is setting aside several weeks to test designers to sketch up the coolest new rides imaginable, while only providing a single word each week as inspiration. Sounds like a blast! 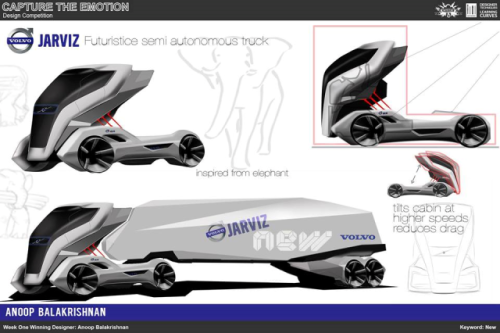 The premise is simple: designers check in on Car Design’s Facebook page every week to see what the latest concept word is, and they draw their emotion-packed piece of mobile art. Each week, the coolest design will net its creator the Learning Curves design sketch book, a Sketch-a-Day T-shirt and an entry for a chance to win the grand prize: an author signed copy of Learning Curves, a brand new Wacom Intuos Pro and a portfolio review by Head of Design for Scania AB, Kristofer Hansen. If you already enjoy designing, sketching and imagining brilliant and imaginative cars, trucks and futuristic transportation machines, why not test your skills and imagination for a chance for recognition and cool goodies? 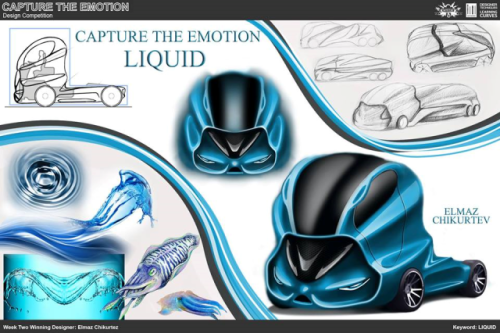 The Emotion Design Competition runs through November 10th, 2013, and as of this writing, the previous words were “Liquid” and “New,” with “Animal” being the tagline for the October 7th-13th competition. Flex that creative muscle and win some cool stuff, designers! And as always, click here to learn all about the Emotion Design Competition and take extra care to read over the simple (yet strict!) rules for submitting your ultra-cool vehicle.